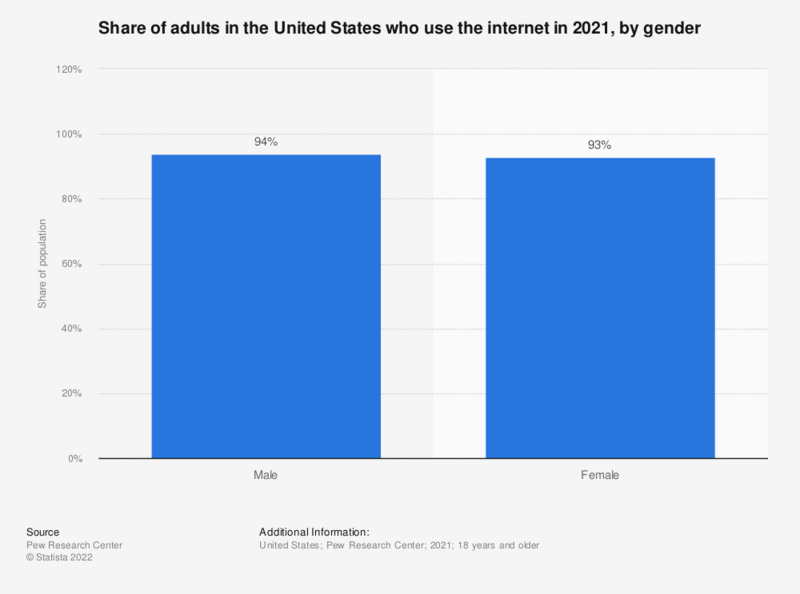 The statistic shows share of internet users in the United States in 2018, sorted by gender. During the survey period, it was found that 88 percent of the female population were internet users. Overall, 89 percent of the U.S. population accessed the internet. Who use the internet, email, or access the internet via mobile device. Everything On "Men and women online" in One Document: Edited and Divided into Handy Chapters. Including Detailed References.